General Rental – We rent most anything. Whatever you need, renting is the smart way to get it done. 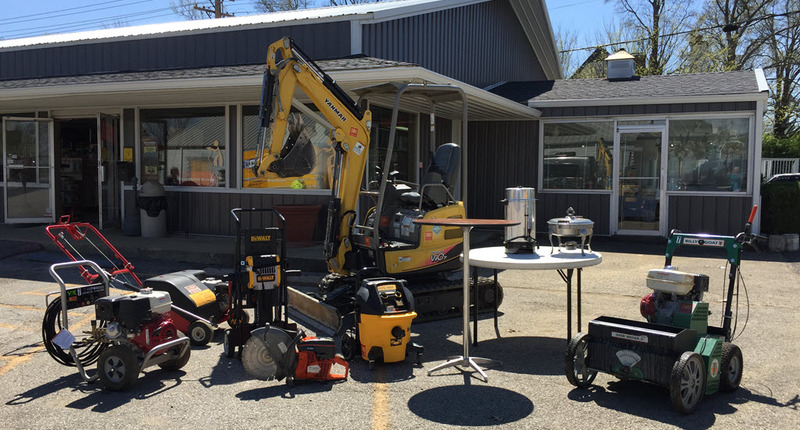 We rent (and sell) most anything — from hand tools to party equipment, backhoes and more. For any job, large or small. We’re open weekdays from 7:30 a.m. to 5 p.m. & Saturdays from 8:00 a.m. to noon. Closed Sundays. We sell hydraulic fittings and make and repair hydraulic hoses. Our rental equipment is always for sale. Prices are based on age, condition and replacement cost. Call us or visit Penske Truck Rentals to reserve your truck. Trucks range in size from 12′ to 26′. Trucks are available for local rental or one-way nationwide rental. This OSHA-compliant battery powered cut-off saw from easily slices through concrete, bricks, rebar and metal as if they were butter. It sells for $800+, but you can rent it from us for as little as $50! Need a table saw for that home improvement project? 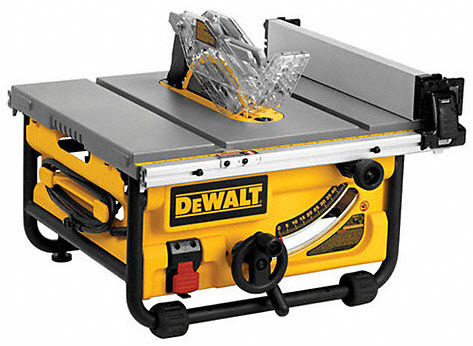 This DeWalt 10" table saw is just right for the job. Rent it for as little as $40!